I have had an amazing 2011-2012 school year working with my Green Committee co-chair Adriana, our kids and the teachers at the local high school setting up a recycling program. 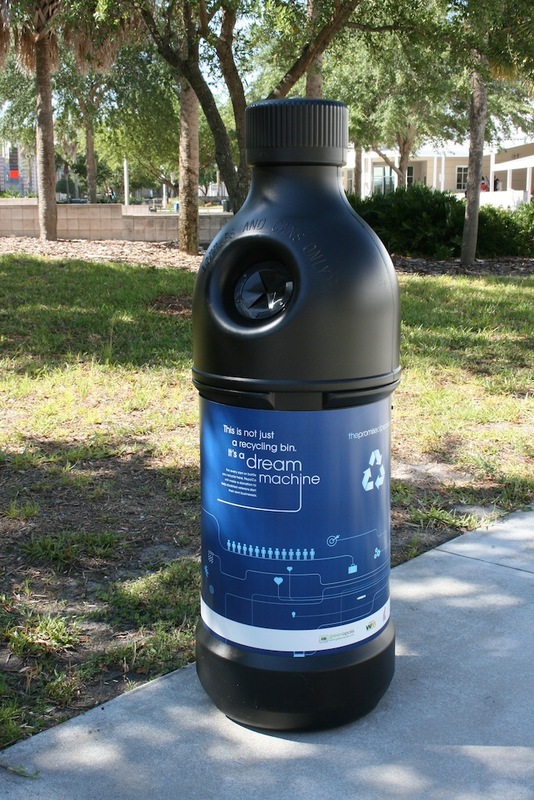 One of the things that really got our school of 2700 students into the recycling mode, are the big Dream Machines (recycling bins) that we received to place all over our school. They are hard to miss and students can easily toss in their bottles and cans for recycling. These Dream Machines are helping our school go green, helping us get needed items for our school and supporting our disabled U.S. veterans - all at the same time! So much good from simply recycling our bottles and cans in a Dream Machine. LOVE! !